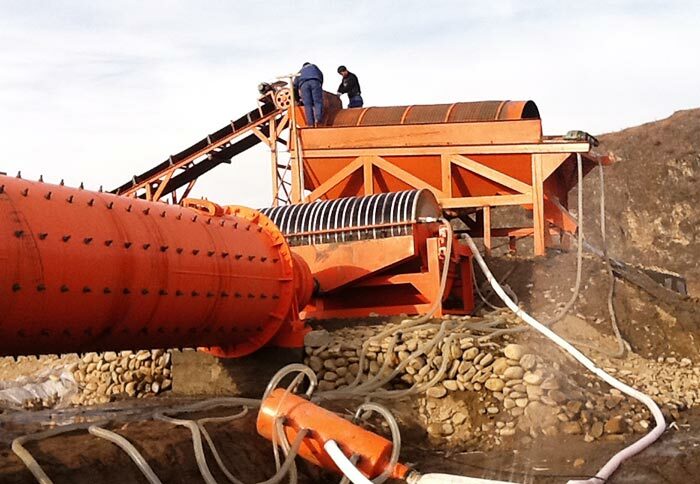 Material Handling:Limestone, talc, graphite, barite, mica, kaolin. 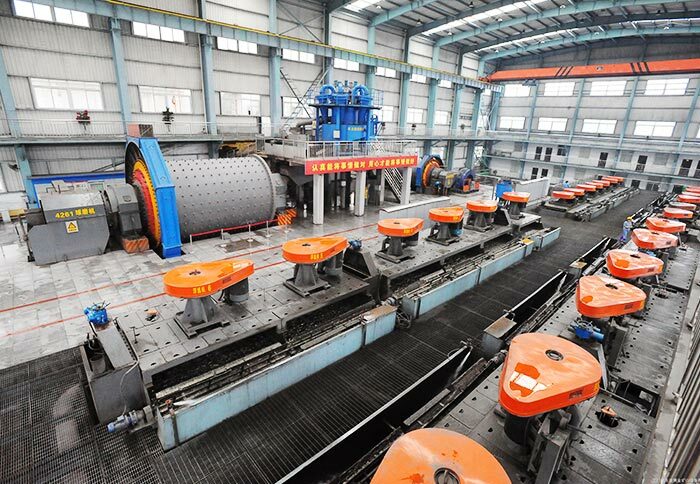 Classifier is one of the important equipment in ore dressing process, and the most commonly used type is spiral classifier, which is also called screw classifier. 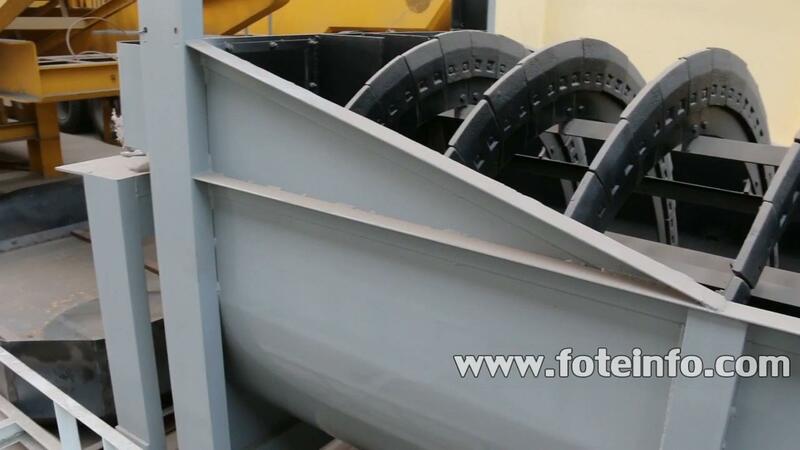 Spiral classifier carries out mechanical grading by using the principle that different proportion of solid particles have different precipitation rate. 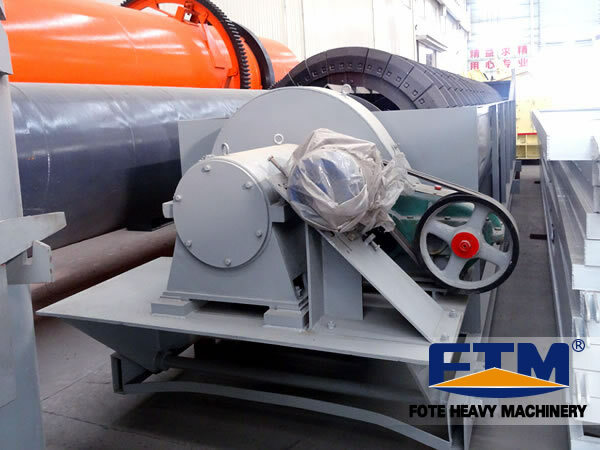 It can filter powder in the mill, and then screws the coarse material into the feeding inlet with by the on-chip spiral vane; the fine material will be discharged from the overflow pipe. 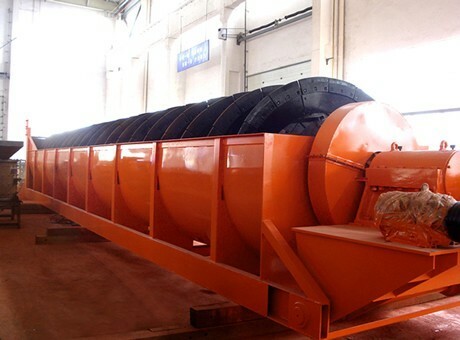 It is widely used to form a closed cycle process to split mineral sand with ball mill in ore dressing plants, grade ore and fine mud in the gravity ore dressing plant, or for the pulp size classification in the metal beneficiation process, as well as desliming and dehydration in washing operations. 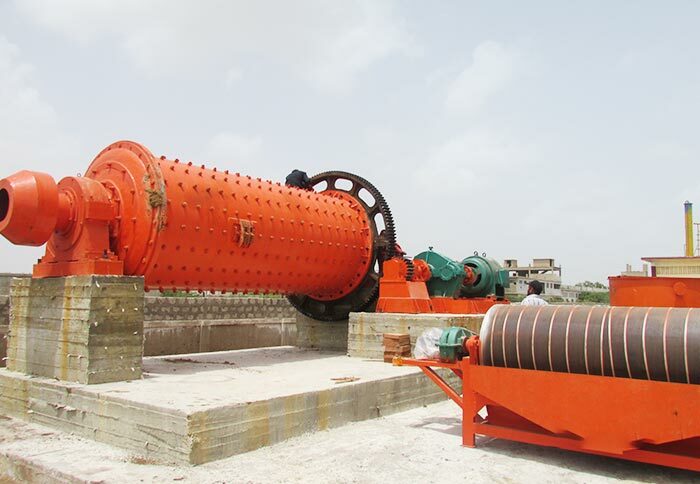 Spiral classifier has the characteristics of simple structure, reliable work, convenient operation, etc. 1. 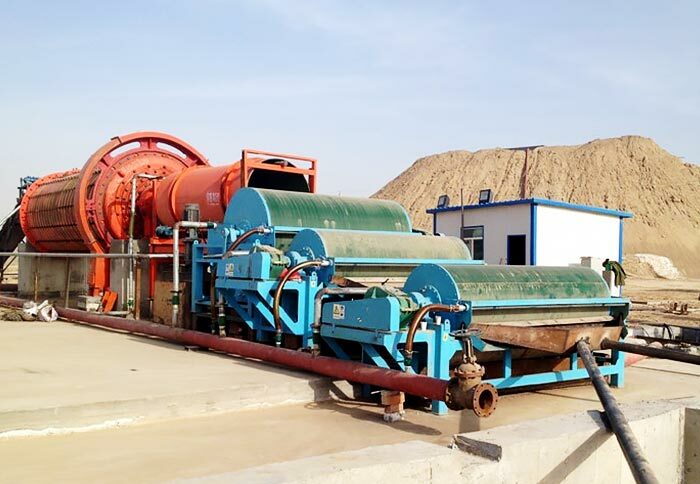 For the separation of over standard powder in the dry artificial sand production process, so that the sand powder content can be very convenient to control, so to meet the requirements of customers. 2. 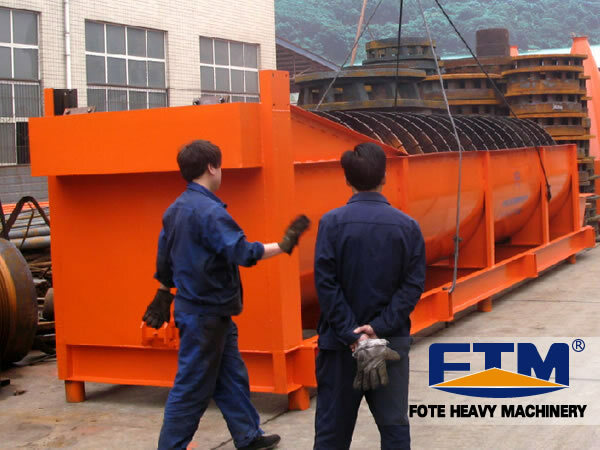 It is suitable for large and medium dry sand production lines. 3. The 0.00--0.75mm powder content can be adjusted between 2%-15%. 4. The powder quality is easy to control; the adjustment of fineness is convenient, flexible and reliable to control. 5. The tile lining has low repair rate. 6. It adopts variable frequency control technology, which makes the operation more simple. 1. Large capacity, simple structure, low cost. 2. Reliable operation, convenient repair, good grading and washing effect. 3. It is the integration of washing, dehydration, desliming and controlling of the particle size, which is efficient and multi functional. 4. The screw axis has good wear resistance, fine granularity, excellent classification fineness, low anti sand rate. 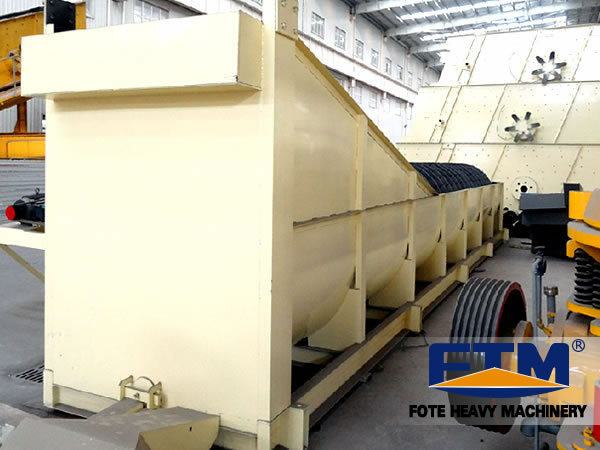 Fote Machinery is a professional spiral classifier manufacturer in China, which has reasonable price, considerate service and complete models, such as sand classfier as well as spiral classifier for gold, copper, zinc, lead, etc. If you want to know about our latest quotation, please chat with us online, leave us a message below or write emails to us. Thank you!